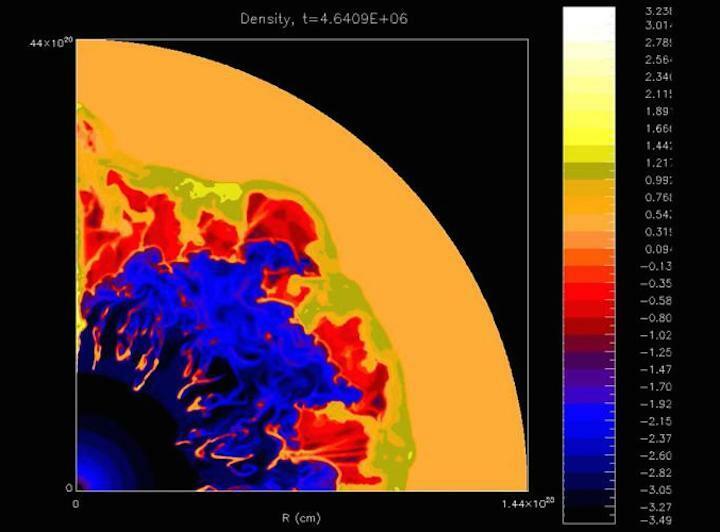 A simulation shows how stellar winds carry mass from a giant star over the course of millions of years, forming bubbles around it—which could have served as the origins of our solar system. Simulation by V. Dwarkadas/D. Rosenberg. Click here for more info. 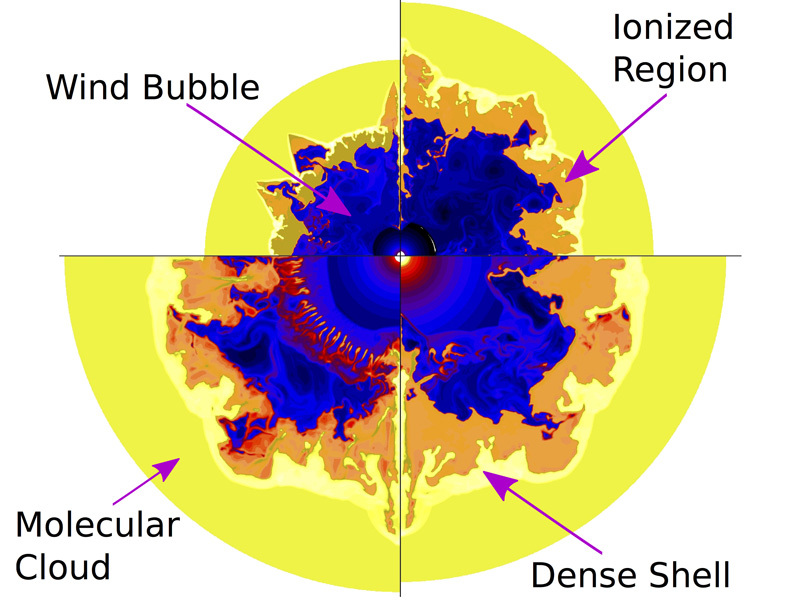 Slices of a simulation showing how bubbles around a massive star evolve over the course of millions of years (moving clockwise from top left).